Slim fit. Elasticated waistband with two tone drawcord and plastic tips. Two front jersey lined pock..
Showerproof. Elasticated waistband with shoe lace end drawcord. Side zip security pocket. Reflective.. Slim fit. 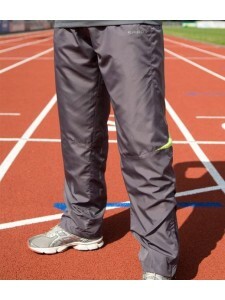 Thermalite fabric helps regulate body temperature. Showerproof. Elasticated waistband with..
Elasticated waistband with drawcord. Key pocket. Breathable mesh panel at crotch and back of knee. F..
Z-TECH® stretch fabric. Lightweight, quick drying fabric. Elasticated waistband with internal drawco..
Tapered fit. UPF 30+ UV protection. Elasticated waistband with self colour drawcord. Two side zip po..
50D microfibre. Mesh lined. Quick drying. Anti-static. Showerproof and breathable. 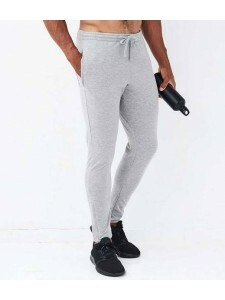 Elasticated waist..
Polyester mesh upper leg lining. Polyester lower leg lining. Elasticated waistband with inner drawco..
Polyester lining. Moisture wicking fabric allows you to stay cool, dry and comfortable. Elasticated ..
Coolpass wicking fabric. Shaped fit. Elasticated waistband with inner drawcord. Mesh panels. Tear ou.. Slim fit with tapered leg. Elasticated waistband with inner drawcord. Contrast piping on outside leg..
Modern fashion fit with tapered leg. Elasticated waistband with inner drawcord. Self fabric panels ..